Podiatrist-formulated NovoPolish Base Coat uses patent-pending nano-silver technology to create a protective layer that will help nails stay free from color staining and maintain their natural strength and beauty, while the silver nanoparticles will not promote fungal infection. 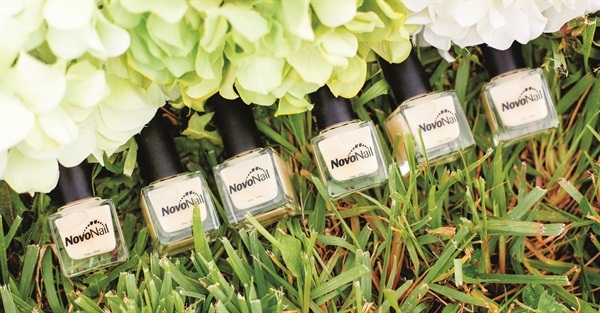 Dr. Christopher Stewart, founder and CEO of NovoNail, developed the base coat as an option for patients with fungal infections who couldn’t bear the thought of leaving their nails naked while they waited for a healthy nail to grow in. The product is also recommended for individuals with dry, brittle nails, children or pregnant women looking to avoid harsh chemicals, and people with yellow, white, or otherwise discolored nails. The long-lasting formula is free of toluene, formaldehyde, DBP, formaldehyde resin, and camphor, and is designed to prevent chipping and cracking. For more information, visit NovoNail .